I hope you’ve been laughing, because April is National Humor Month. What better time to look at some of the funniest movies of all time. “Dr. Strangelove or How I Learned to Stop Worrying and Love the Bomb,” 1964, directed by Stanley Kubrick. This dark comedy satirizes Cold War fears of nuclear war. Air Force General Jack Ripper believing that the Soviets have used the fluoridation of drinking water to pollute Americans’ “precious bodily fluids,” orders bombers to deliver a first strike nuclear attack on the Soviet Union. The President of the United States (Peter Sellers), his advisers, and the Joint Chiefs are successful in recalling or assisting the Soviets in destroying all the bombers, but one. The Dr. Strangelove of the title (Peter Sellers again) is a former Nazi scientist who hasn’t quite resigned himself to the fact that he’s no longer working for der fuhrer. “Annie Hall,” 1977, directed by Woody Allen. In this romantic comedy, comedian Alvy Singer (Allen) falls in love with nightclub singer Annie Hall (Diane Keaton). Alvy’s insecurities sabotage the affair, unfortunately, driving Annie to Los Angeles with a new life and lover. Realizing that he may lose Annie forever, Alvy braves the LA freeways to recapture the only thing that ever mattered to him, true love. “Duck Soup,” 1933, directed by Leo McCarey. In this Marx Brothers classic, Groucho (Rufus T. Firefly) is president of small, bankrupt Freedonia, a country in dire need of financial assistance. Neighboring Sylvania, in an effort to annex Freedonia, sends in spies Chico (Chicolini) and Harpo (Pinky) to infiltrate the Freedonian government. In the process Chicolini is made Secretary of War. War is declared and a hilarious battle ensues. Classic comic sequences include the mirror scene in which Pinky dressed as Firefly pretends to be Firefly’s reflection in a missing mirror. “Blazing Saddles,” 1974, directed by Mel Brooks. Its 1874 and the railroad is coming through the town of Rock Ridge. Governor Le Petomane (Brooks) and Attorney General Hedley Lemarr (Harvey Gorman) scheme to drive the citizens of Rock Ridge away from their homes and drive down the price of land by hiring a black man, Bart (Cleavon Little), to be their sheriff. Facing a hostile reception, Bart teams up with recovering alcoholic gunslinger The Waco Kid (Gene Wilder) to save the town. If you’ve seen this movie, you’ll remember the campfire scene. “Airplane!,” 1980, directed by David and Jerry Zucker. 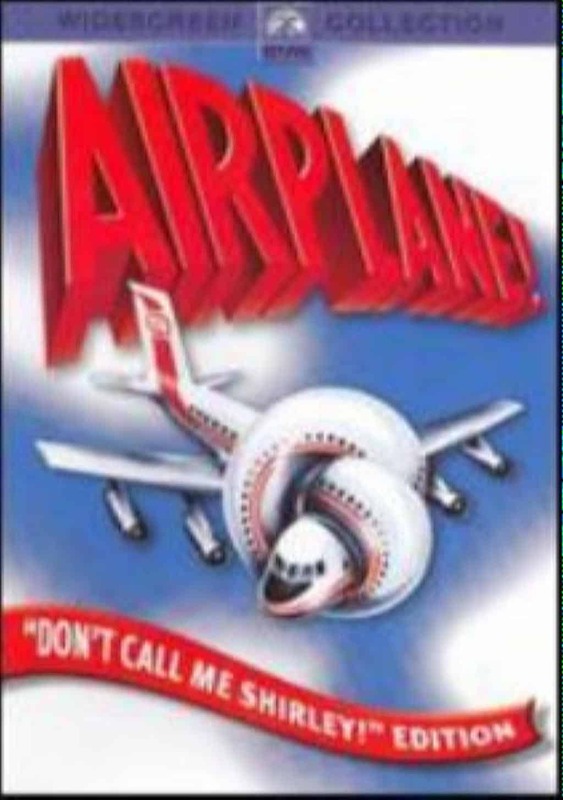 In this parody of the disaster film genre, traumatized ex-combat pilot, Ted Striker (Robert Hays) nervously boards a Chicago to Los Angeles flight to win back his wartime girlfriend, flight attendant Elaine Dickinson (Julie Hagerty). After contracting food poisoning from the fish served for dinner, both the pilot and co-pilot are incapacitated. It falls to Striker to fly the plane, assisted from the ground by his former commanding officer, Rex Kramer (Robert Stack), and an odd assortment of air traffic controllers. In additional to the official list, here are a few of the titles that library staff consider to be among the funniest films of all time. “Monty Python and the Holy Grail,” 1975, directed by Terry Gilliam and Terry Jones. The troupe of Monty Python’s Flying Circus take on the legend of King Arthur and the Knights of the Round Table. “The Sandlot,” 1993, directed by David Mickey Evans. In 1962, Scotty Smalls learns to play baseball and much more in this coming of age story. “Groundhog Day,” 1993, directed by Harold Ramis. Weather man Phil Connors (Bill Murray) is stuck in Punxsutawney, Pennsylvania, reliving Groundhog Day over and over and over again. “Young Frankenstein,” 1974, directed by Mel Brooks. Frankenstein’s grandson, Frederick (Gene Wilder) inherits his family’s estate in Transylvania and resumes his grandfather’s experiments in reanimating dead tissue. Around my house, we call Sarah “the book pusher.” I have several friends who exchange recommendations, but Sarah takes it a step further. She starts with “You have to read this book.” I respond politely, putting it on my list of books I might get around to. But then she checks up on me. This would be annoying, except that she’s always right. Each and every one has turned out to be an amazing book that I can’t put down and lingers with me for weeks after I finish. You would think I would eventually learn to stop fighting the recommendation magic and maybe this article is a turning point to acceptance. Hopefully, you will be more open to the treasures than I have been as I share with you the books that Sarah made me read. In The Fault in Our Stars John Green explores what life is like for a teen with cancer – both the good and the bad. Sixteen-year-old Hazel has been dealing with a terminal cancer diagnosis for three years and she’s depressed. Her doctor recommends Cancer Kid Support Group, where she meets Augustus. The two of them become fast friends and show us that, even in the midst of the pain and fear of cancer, there can be love, joy, and adventure. Katherine Howe takes us back to 17th century Salem, Massachusetts in The Physick Book of Deliverance Dane. While going through her grandmother’s things after her death in 1991, Connie Goodwin comes across a scrap of paper with the name “Deliverance Dane,” setting off a hunt into her family’s past. Alternating chapters go back and forth between Connie and Deliverance, a woman accused of witchcraft. Howe creates a gripping story, as well as an insightful look into the context of the lives of women during the witch-hunt period of American history. A Gentleman in Moscow by Amor Towles teaches us how to make the best of a bad situation. In Moscow in 1922, Count Alexander Ilyich Rostov is sentenced to house arrest. Fortunately, his current residence is the luxurious Metropol Hotel. Even after being moved to a more austere room, Rostov manages to find delight in expanding his social circle and appreciating the small pleasures in life. 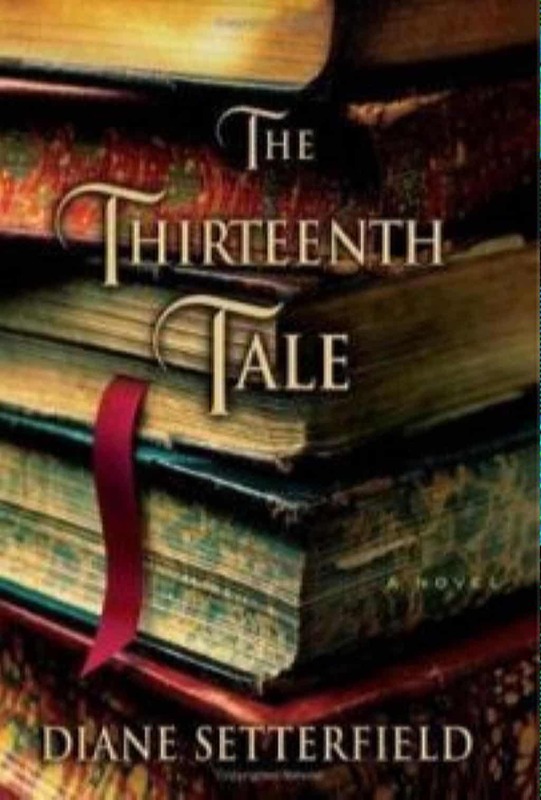 In The Thirteenth Tale by Diane Setterfield, Vida Winter is a world famous author, but has scattered inconsistent details about her life. Now that she is unwell, she agrees to finally reveal the truth. Winter reveals to her biographer, Margaret, an eerie narrative of mysterious sisters, a tragic fire, and disturbing specters. I’m especially drawn to mysteries with great characters, and Louise Penny fits the bill with the Chief Inspector Gamache series, starting with Still Life. When Jane Neal, beloved retired teacher, is found dead in the woods on Thanksgiving Day, Armand Gamache is called to the scene. With a humble demeanor and excellent listening skills, he immerses himself in the small community to solve the crime. The complex characters and the insight into rural Québec make for an engaging story. The Improbability of Love by Hannah Rothschild is a charming romance that doesn’t read like a romance. Annie McMorrow is 31, just lost her boyfriend, and is struggling to establish her career as a chef. When she picks up a dusty painting in a junk shop, her life and her apartment are turned upside down. Exploring both the intrigue of the art world and a passion for good food, Rothschild creates an absorbing novel that truly satisfies. 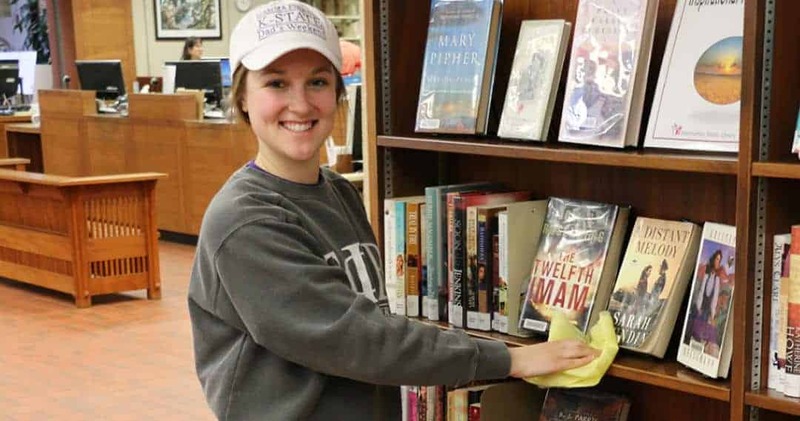 Even librarians get in a reading rut. We all get comfortable with our genres and rarely venture out. Fortunately, I have friends who keep my suggestion list full. If you ever need a suggestion, stop by the Reference Desk on the 2nd floor of the library and we will gladly help you out. Let me start off by explaining that I have a weird number of friends who are nurses and a disproportionate number of those nurses work in pediatrics. Recently, one of those nurses frustratingly ranted to me about how the number of suicides they handle by people between the ages of 11 and 18 has increased exponentially since she began her career four years ago. Medical professionals have all sorts of statistics about the correlation between suicide rates and certain times of year and other contributing factors. The sad fact of the matter is that today’s teens are experiencing mental health issues in a world where encountering mental illness comes with a stigma. Thus, we have mentally ill teens who don’t know where to find the resources to help themselves. 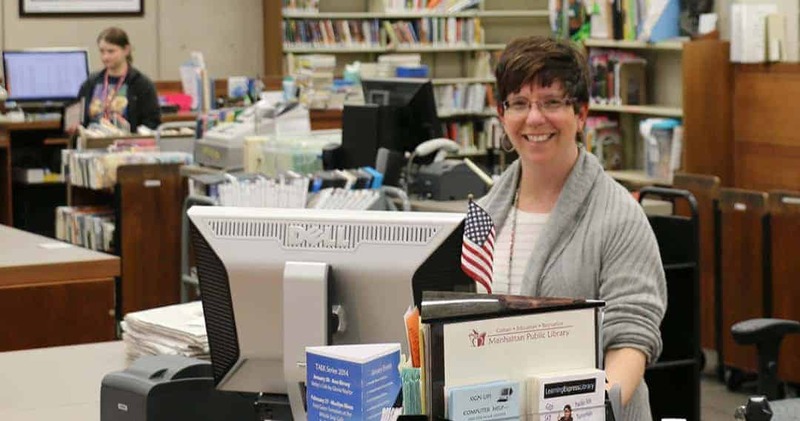 As a teen librarian (aka professional nerd who thinks teens are awesome), I want to help. Luckily for us, Manhattan is a place where that stigma seems to be dissipating. In the 2015 Community Needs Assessment done by the City of Manhattan, Manhattanites rated availability to mental health care among the top needs in the city. The library administration took that statistic very seriously. 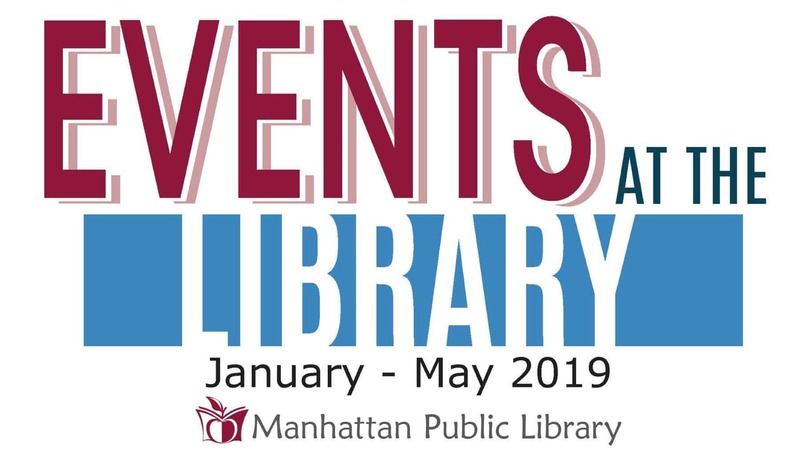 Keep an eye out for future programming and events at the library that help support people in need of mental health care. The Rest of Us Just Live Here by Patrick Ness is about the kids who aren’t the chosen ones. You know, the chosen ones: the kids at school who are at the heart of every paranormal, romantic, dystopian-esque happening. This book is not their story. The Rest of Us Just Live Here is the story of the other kids, the normal kids, who are just trying to graduate from high school, avoid their parents and kiss their high school crush before the indie kids blow up the school, again. Mr. Ness does a really good job of discussing dysfunctional families, mental illness and LGBTQ relationships with humor and wit. Sarah Dessen won the Margaret A. Edwards Award for lifetime achievement in writing for young adults this year. When it comes to YA books about contemporary teen issues, her titles are a great place to start. Dessen’s Just Listen tackles the hard topics of mental illness and sexual assault. The main character, Annabel, is battling a sister with a dangerous eating disorder, a family in disarray, and a horrible secret. The story leads you along the ride that Annabel takes in order to reclaim her life and her voice. Her introspection makes the journey that readers take worth it. 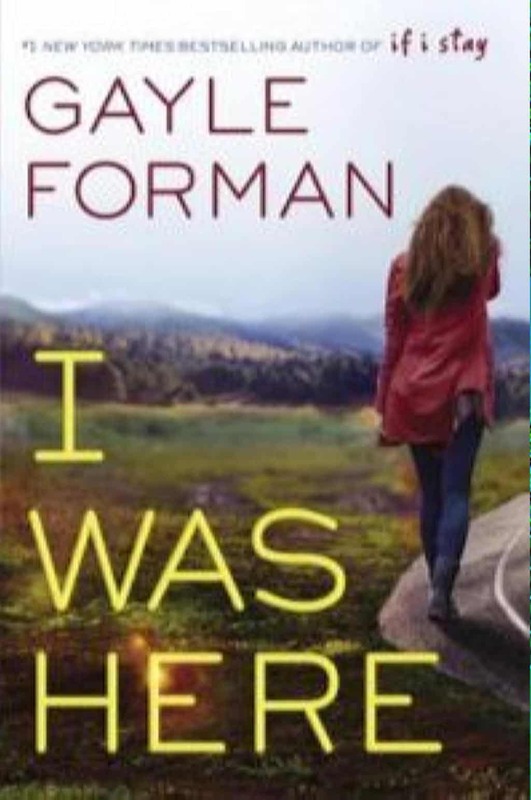 In I Was Here by Gayle Forman, Cody is devastated when her best friend, Meg, commits suicide. While helping pack up Meg’s things in her college town, she begins to learn that there was a lot she didn’t know about her best friend. Still not believing that her friend would end her own life, Cody decides to dig deeper into what really happened. Her journey is painful and sad but ultimately redeeming. This story is very hard to read, but even more difficult to put down; definitely a read for more mature teens. The term “mental health” encompasses a wide variety of issues and obsessive-compulsive disorder (OCD) is often overlooked as an insignificant disability. Every Last Word by Tamara Ireland Stone tackles the difficulties of OCD head on. Samantha hides the constant stream of obsessive worries and dark thoughts beneath a perfect exterior of her popular but fake friends. A new friend offers a reprieve from the daily struggles of her disorder. The story maintains a good read while respectfully handling a mental illness that effects so many people. If nonfiction is more your style, you should considering reading Out of Order: Young Adult Manual of Mental Illness and Recovery by Dale Carson. 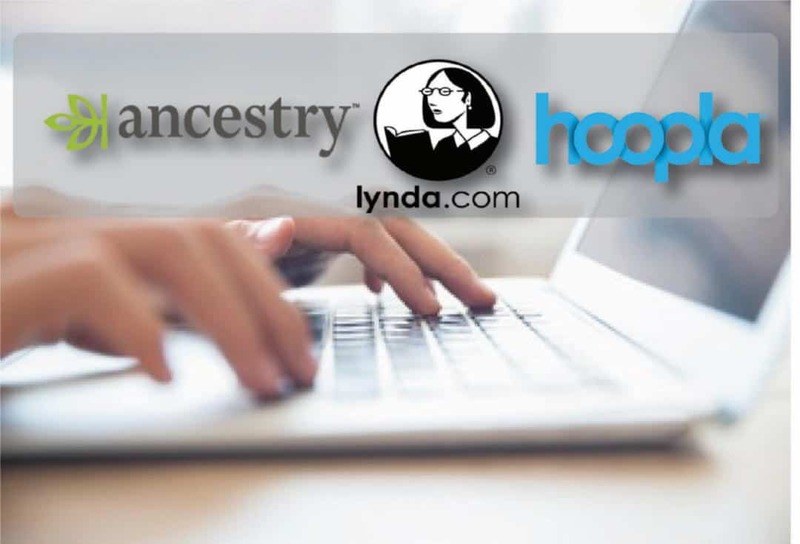 This title is comprehensive with a capital “C” and full of personal accounts, advice and counseling options. You really can’t go wrong with this one. 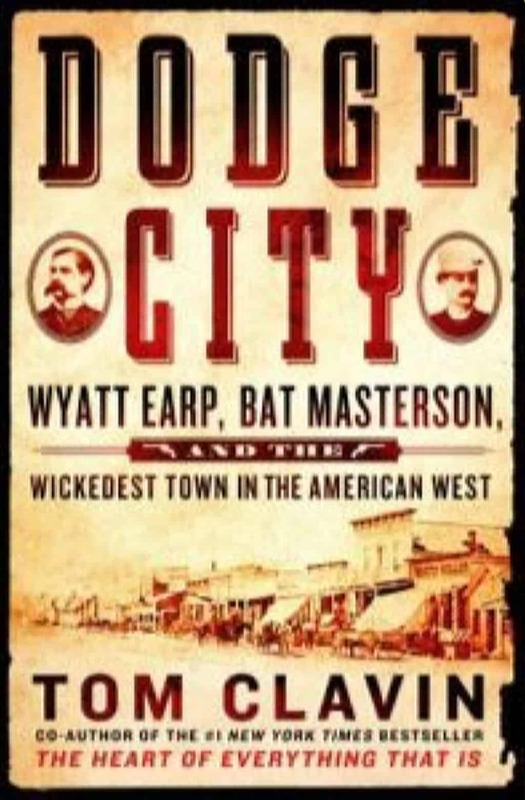 Tom Clavin’s latest nonfiction book, Dodge City: Wyatt Earp, Bat Masterton, and the Wickedest Town in the American West, has appeal on multiple levels. It’s a thrilling western, with all of the shootouts, heroes, and villains you’ll find in well-written fiction. It’s also an almost unbelievable tale of actual historical events that helped shape the West. And it’s a remarkable window on our Kansas heritage. The story takes place in the 1870s. For many years, the cattle drives from Texas had used Dodge City (among other Kansas towns) as a final stopping point for the herds. After long hours on dusty trails, the newly paid cowboys were ready for a celebration that usually involved quite a bit of drinking and some unplanned gunplay. And the building of the rail lines, with Dodge City as a connecting point between cattle herds and a shipping hub, spurred rapid growth. Buffalo hunters also frequently visited the town, and they, too, took part in the celebrations. Fairly quickly, Dodge became a rough and violent town with several drinking establishments and a profitable trade in prostitution. In fact, census records indicate that, at one time, there were nearly 50 prostitutes in a town with a population of only about 700. It was also something of a magnet for criminals looking for quick money. Characters like Dynamite Sam and Dirty Sock Jack were known for their unpredictable behavior, and it was up to the newly hired law enforcement to control such threats. And that’s when Wyatt Earp and Bat Masterson came into the picture. Wyatt was drawn to Dodge City because a brother and a sister-in-law had already set up a successful brothel, a business that was not illegal as long as it was kept under control. Wyatt was attracted by the salary and had some experience in law enforcement in Wichita. Bat had had enough of buffalo hunting and skirmishes with Native Americans, and he’d nearly been killed in a saloon shootout that left him disabled for some time, so he needed a change in location. Neither of the young men was particularly frightened by the new responsibilities. In an early encounter with unruly cowboys ready to celebrate the end of the trail with guns blazing, Wyatt singled out the major troublemaker and punched him twice before the man could pull a gun. The now-unconscious cowboy was an immediate deterrent for his friends. Bat, too, had a lack of patience toward crime. Upon learning that robber Robert Dirty Dave and his followers had been spotted near Dodge, Bat formed a posse and braved blizzard conditions to arrest them and send them to trial. Bat also served as a partner in the Lone Star Dance Hall and Saloon, so he was making a decent living. One the factors in the tremendous appeal of this book is author Clavin’s ability to tell a good story. He not only alludes to events in Dodge, but he also supplies ample background. We learn, for example, that the only woman buried on Boot Hill was a woman named Alice Chambers. “Squirrel Tooth Alice,” as she was known, was a local prostitute who became famous when gusty winds pulled several dollars from her stockings. Local tramps spent the next several hours looking for the dollars with little luck. Given the high rates of sexual disease and physical abuse, most prostitutes died young, and Alice was no exception. She suffered an early death due to undisclosed circumstances. Another appealing factor is Clavin’s insistence on solid research. When unsure about actual events, he advises readers that eyewitnesses reported events as he presents them. Clavin is also unwilling to whitewash the lives of his characters. He reminds us that both Wyatt and Bat made plenty of mistakes on their own, especially when he alludes to Wyatt’s criminal past. Ultimately, you will be amazed at the colorful characters and events, both tragic and hilarious, who visited Dodge City in the late 1870s. While other books and ample films have portrayed the West as it may have been, Clavin’s admirable history fleshes out a West that really was.